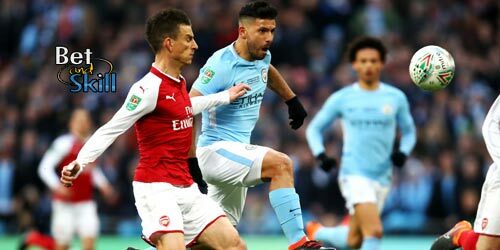 Manchester City host Arsenal at Etihad Stadium in a Super Sunday match, as they look to continue their impressive winning run. 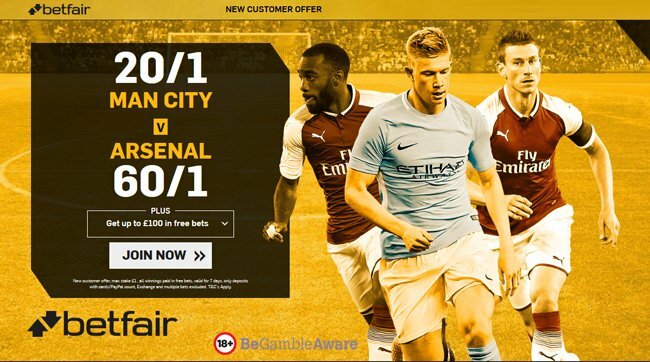 Don't miss our Man City vs Arsenal betting preview with free predictions, betting tips, probable lineups, team news, highest odds, bookmakers promotions and no deposit offers! Man City are yet to taste defeat this campaign and are the third team in Premier League history to have won as many as 28 points from their first 10 games of the season. 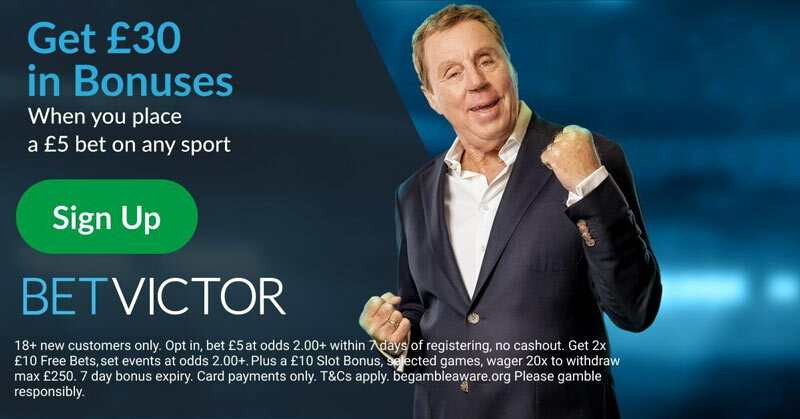 They top the Premier League table with a 5 points cushion over Manchester UTD and beat 3-2 West Brom on the road last weekend. In Champions League, Guardiola's men secured their qualification to the knockout stages by beating 3-2 Napoli at Stadio San Paolo in midweek. As to direct matches, the Citizens have only won one of their last nine matches against Arsenal in all competitions (D4 L4). Pep Guardiola will recall Kyle Walker in defense as the former Spurs' right back has been rested in midfield. Sergio Aguero and Gabriel Jesus are in contention for the lone striker starting berth while Leroy Sanè and Raheem Sterling should feature from the off despite their heavy workload since the last international break . The first choice midfield of Fernandinho, Kevin De Bruyne and David Silva should all start, with Ilkay Gundogan providing the main alternative. Benjamin Mendy and Vincent Kompany are still sidelined for the home side. Arsenal have won 10 of their last 13 matches in all competitions, including their last Premier League match at home to Swansea (2-1). They are 5th in the Premier League standings and trail Man City by 9 points. Prior to Thursday's goalless draw against Red Star Belgrade, Arsene Wenger's men have managed to win their last four matches in all competitions including an impressive 2-5 away win over Everton. But that was the only Premier League win that the Gunners have recorded on their travels so far this season. Arsenal have lost 10 of their last 17 away league games, including a 4-0 thumping at liverpool few weeks ago. Sead Kolasinac is doubtful and he will undergo a late fitness test ahead of this clash. Should he be ruled out, Nacho Monreal could move to left wing-back, seeing Rob Holding join Laurent Koscielny and Per Mertesacker in the three-man backline. Arsene Wenger is set to continue with Granit Xhaka and Aaron Ramsey in central midfield, while Mesut Ozil and Alexis Sanchez should support Alexandre Lacazette up front in the 3-4-2-1 system. the likes of David Ospina, Calum Chambers, Shkodran Mustafi and Danny Welbeck are still out. 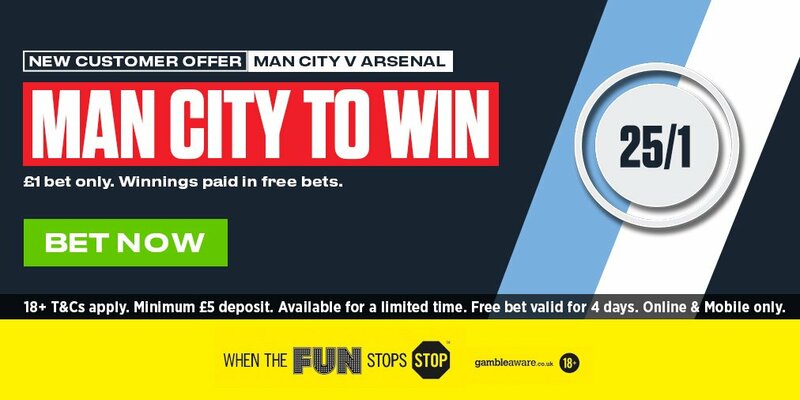 "Manchester City vs Arsenal betting tips, predictions, lineups, odds and free bets (Premier League - 5.11.2017)"